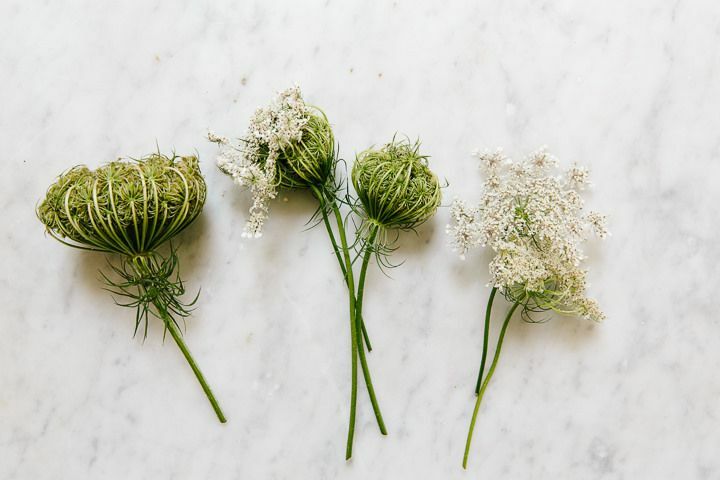 Today: Queen Anne's Lace looks delicate, but its fruit's pungent flavor and spice is anything but dainty. It's the season's last hurrah, and native flowers are abloom. I've been eying my neighbor's field for weeks now -- it's dotted with white umbrellas of Queen Anne's Lace (Daucus carota). To them, it's just a bit of fallow land full of weeds. To me, it's a veritable organic buffet. And the moment I've been waiting for is here: Those lacy umbel flower heads have begun to curl up like little tangled birds' nests. More: Weeding doubles as foraging when you toss your weeds into a salad. 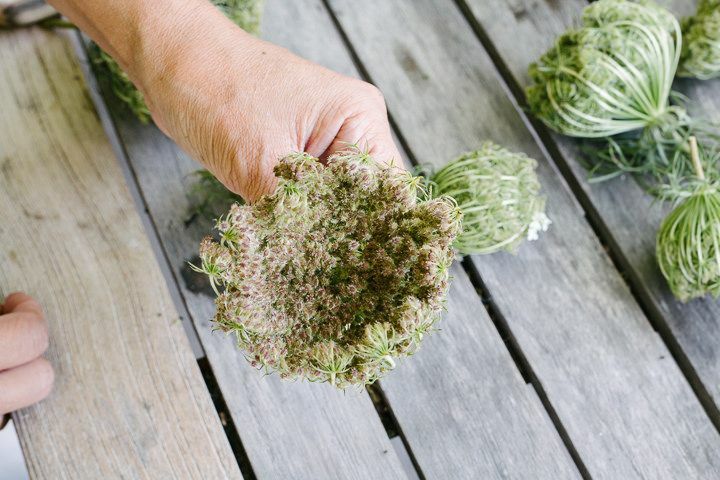 The flowers of the wild carrot, or Queen Anne's Lace, are as edible as the stringy root -- but the culinary gem is its fruit. Because each fruit is so small and the harvest window is relatively short, I hadn't even noticed them until recently. But when I looked closely, I could see that each cluster was full of hundreds of small, eye-shaped fruits. I picked the bunches with the largest fruit (some of the fruit was red, and some was still green), checking the aroma by breathing deep into their flower nests. The scent can vary, but they are heavily fragrant -- oftentimes peppery with hints of coriander and carrot. This complexity is the essence of wild flavors. More: Here's another way to incorporate beautiful flowers into your cooking. 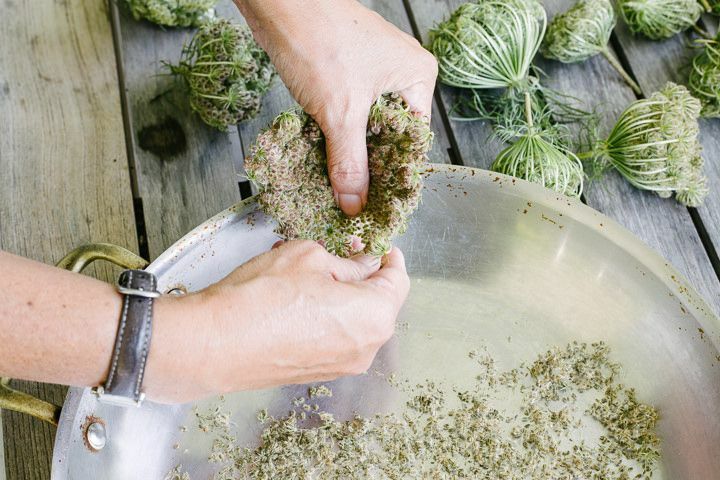 To harvest, clip the cluster, remove the fruits from the frame, and dry them under gentle heat (such as a heat lamp or dehyrdrator); you can store them whole to use as a spice or seasoning at will. Once they dry, their strong aroma will dissipate, but give them a quick grind in the Cuisinart, blender, or mortar and pestle and -- violà! -- the pungent fragrance returns. One of my favorite ways to use this spice is to sprinkle it on top of carrot cake for an added kick. It's also wonderful in carrot salads, caramelized on top of crème brulée, or infused into jelly. On late-summer evenings, I take the chill off with a cognac apéritif, the rim of the glass dipped in spicy Queen Anne’s Lace. When foraging, always choose high-quality landscapes (not next to the highway or on post-industrial or sprayed sites), and make sure to obtain permission if it is not your own yard. If possible, go out with an experienced forager. We assume no responsibility for any adverse effects from misidentification or incorrect use of featured wild plants. For more information and identification advice please consult us at meadowsandmore.com. Tama Matsuoka Wong is the principal at Meadowsandmore, a wild food purveyor and educational studio. Thank you Agatha. 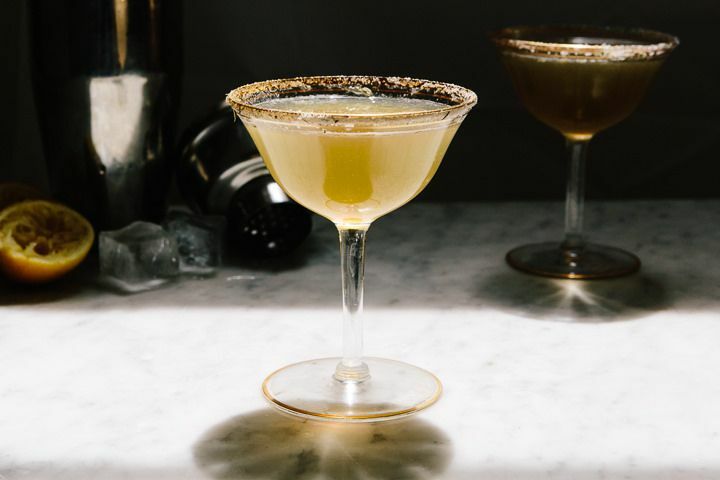 Yes we do have special additional notes in the article as well as my book Foraged Flavor about being cautious if you are pregnant at al as well as the similarities to poison hemlock which is not the usual disclaimer. We also invite people to contact us on our website for identification and other assistance. Please, please, please be careful with wild carrots. I know a plant specialist who died because he picked the poisonous wild carrots and ate the soup he made from them. jackie The plant specialist who confused wild carrot with a poisonous plant and died..was obviously NOT a plant specialist. I am not a plant specialist. But, I learned to identify many wild edibles..including wild carrot from my Italian grandmother, and have been safely picking many species of edible plants & mushrooms for 50+ years. I feel badly for the person who died..but that is not a mistake that a plant specialist should make. Oh wow! Thank you for this, I never considered the flowers, I once ate a root as a child abs discovered that it tasted kinda like a carrot, then many years later found out they were a relative of carrots. I have to find some now. Yes thank you so much Melissa. Although some other carrot family plants have hairy stems also so not a singular identifier for QAL alone. (Also the poison hemlock is characterized by purple blotches on the stem.) For the purposes of this column about the fruits, I have focused on the "tangled birds nest" fruiting structure predominant at this season. A good way to tell Queen Anne's Lace apart from Poison Hemlock is to look at the stems. Queen Anne's Lace have "hairs" on the stems. (A great mnemonic for this wild edible is "The Queen has hairy legs"). Poison Hemlock's stems are smooth.